And as she explains, the annoyance starts to subside. The new facility will be a rehabilitation center for patients who need temporary housing after a knee replacement or surgery but don’t need to be in a nursing home with sick people. There will be a dozen single rooms, as well as a double room for couples or siblings. It will be named “Mary’s* House,” after her mother who lived there. Another identical facility is being built in a nearby town and will be named “Grace’s* House,” after her grandmother, who started the family business. She said they wanted to keep something of their childhood home standing. And even with that, it was hard to demolish the family home. For the last few months, as school started and I adjusted to the busy life of a working mom once again, I couldn’t help but feel like that “Hard Hat Area” was a metaphor for my life. I felt like I was in the middle of a construction zone….a Great. Big. Mess. Learning new material at school, working with new people, scrapping old ideas, managing a new crew of kids…the planning…the building…breaking my back to get the job done. Now, with a month of school under my belt, things are falling into place. Some questions have been answered – like the reason for keeping the chimney and the walls. Things at school are clicking. I have a grip on our after-school schedule. Homework is getting done, dinner is being served, and we’re finding time to play outside. The dust is settling – literally and figuratively. 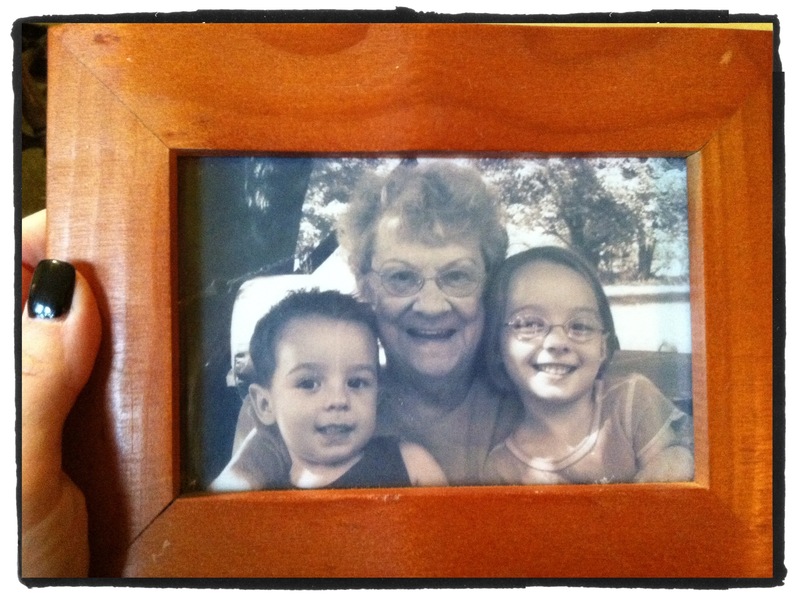 A picture in my dining room – The kids with their great-grandma…before Tweedle Ian learned how to ride his bike.